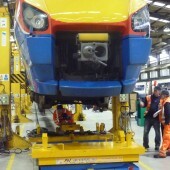 UK engineering company AV Birch is extending the expertise we can offer rail customers with the development of specialist lifting equipment to improve the safe and efficient maintenance of rolling stock. 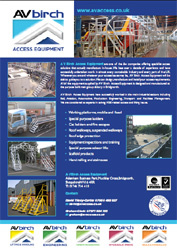 Through our rail division, AV Access, the company already has a strong reputation in the rail industry for supplying specialist access equipment to companies like Alstom, Bombardier, London underground and a large number of train operators. 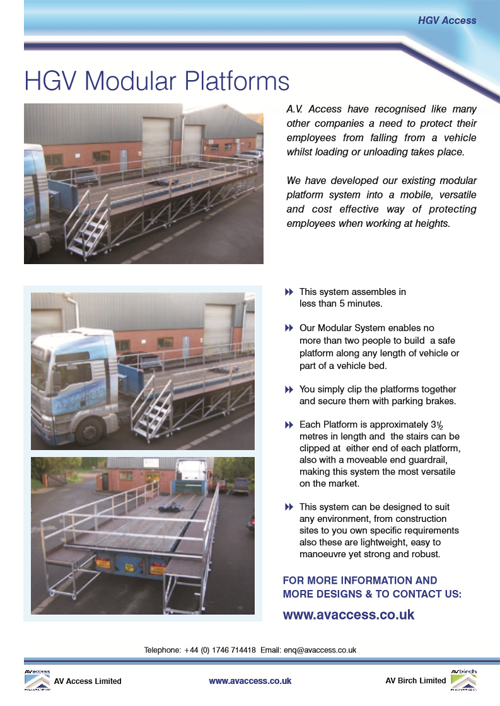 AV Access has a comprehensive range of access solutions, including systems for access to carriage roofs, carriage sides, doors and windscreens, as well as our unique and innovative modular staging systems. 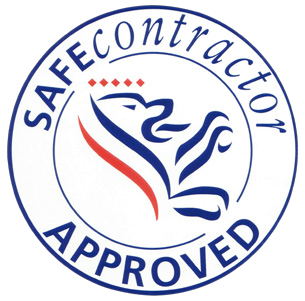 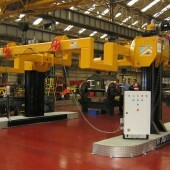 All equipment is designed and manufactured at the company’s ISO 9001-certified factory in Bridgnorth, Shropshire. 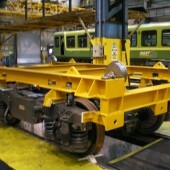 AV Birch has now gone a step further by integrating our extensive knowledge of machine engineering and the rail industry to design and manufacture an innovative bogie manipulator.The equipment was commissioned by Irish Rail, which says it has significantly improved safety, productivity and quality assurance in the handling of bogies at its Inchicore works in Dublin. 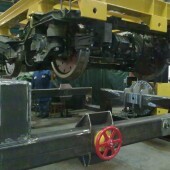 We are very pleased that our in-depth knowledge of the rail industry, combined with our machinery engineering expertise, has allowed us to create such an innovative and effective device. 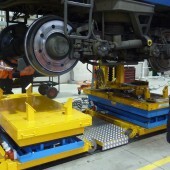 AV Birch’s bogie manipulator is playing a central role in a lean programme at Irish Rail’s bogie workshop by simplifying and speeding up the safe handling of bogies, and eliminating accidental damage. 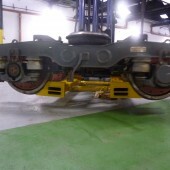 Graham O’Meara, production executive for Irish Rail’s bogie workshop, said: “We had been using workshop cranes and lifting chains to move and rotate bogies, but this was slow, required several operatives and added to the downtime of our skilled fitters. 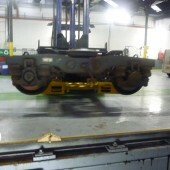 “On top of that, it increased the risk of accidental damage to the bogies and injury to our staff. 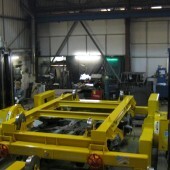 AV Birch’s bogie manipulator has been transformational, and has contributed significantly to the quality assurance of our operations. 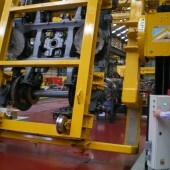 Irish Rail operates trains from different manufacturers, so they needed a manipulator that could hold and rotate up to 10 different types of bogies, with range of equipment attachments. 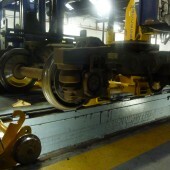 It was quite a challenge. 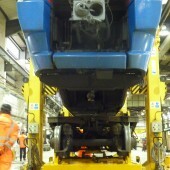 The main task was to manage EMU and DMU power and trailer bogies. 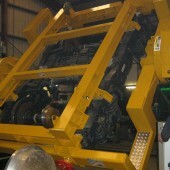 We were determined to come up with a solution that was flexible and simple to use. 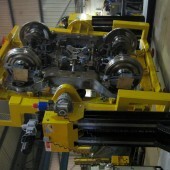 Our manipulator now allows Irish Rail to lift and rotate through 360 degrees bogie assemblies of up to 10 tonnes. 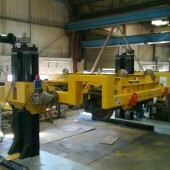 Irish Rail operates two AV Birch bogie manipulators as part of a maintenance programme for 200 bogies are year. 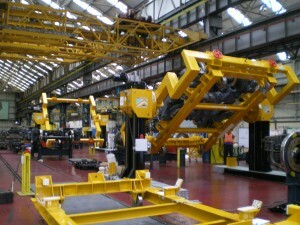 Each bogie is placed in a manipulator frame. 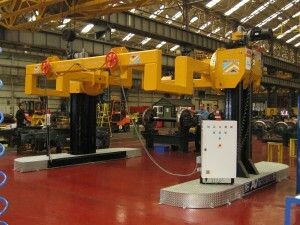 Special attachments take account of different shapes and hold points. 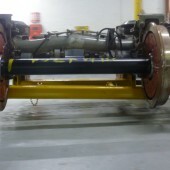 The bogie can then be lifted into a cradle to be worked on. 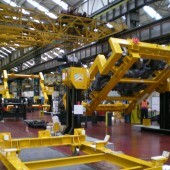 All AV Birch lifting equipment is independently tested against LOLER standards. 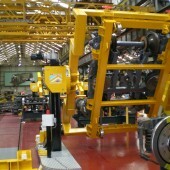 AV Birch will continue to develop our highly successful train access systems – and build on the success and obvious potential of our bogie manipulator. 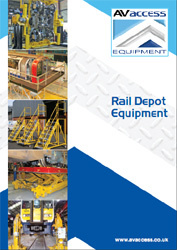 We can develop simple but powerful lifting and manual handling solutions for the rail industry clients, bringing to bear our machinery engineering know-how as well as our leading access expertise.